We are Asheville’s leading group rental company! 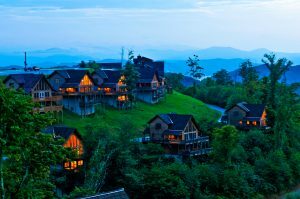 Founded in 1997, Carolina Mornings has spent over 20 years hand-picking the best accommodations for travelers wanting to experience the best parts of the Blue Ridge Mountains. You can trust your family reunion, retreat, or group getaway to Carolina Mornings! Our group rental team and our decades of experience will help make sure that you find the best rental options for your specific needs. We offer a wide selection of group rental options perfect for any size group! Our large homes sleep between 14 and 25 folks under the same roof , and our community rentals allow you to rent multiple side-by-side cabins/homes to accommodate 20 to 100+ together! In addition, our cabins and vacation homes offer the best amenities that your group is looking for: Hot tubs, mountain views, fireplaces, game tables, all linens and towels included, professional service and maintenance, and a large selection of pet-friendly properties. Looking for groups smaller than 14? We’ve got you covered there, too! 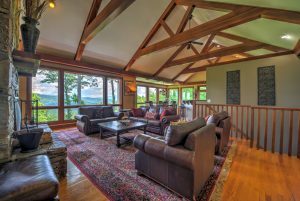 With over 120 unique rental properties in the region, we have everything from cozy cabins for two to expansive lodges, and everything in between. Simply give us a call or visit our website today! We hope to hear from you soon, and we look forward to hosting you and your group!